Man can do what he wants, but he cannot will what he wills. One of the most powerful concepts in the Matrix was the idea that people were separated into two groups: those who could only see the world as it appeared, and those who could see its true form. I am saying 5% because of countries like China that have large educated and secular populations. If it weren’t for them I think this would be far below 1%, as I’m sure it is in the U.S. I am about to give you a similar test, except this one applies to reality. I am guessing that less than 5% of humans on the planet will choose correctly. 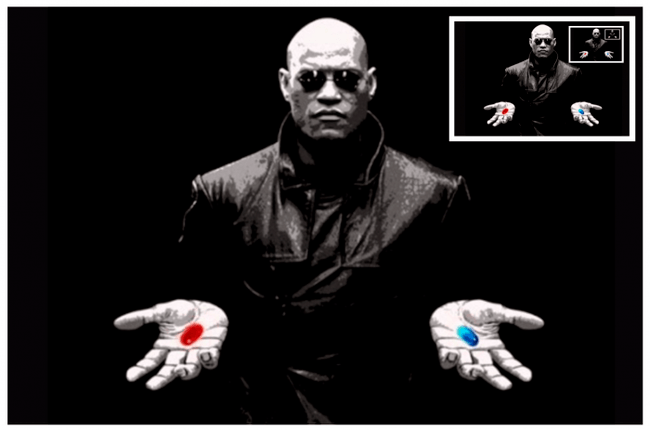 In the movie, the two states were the blue pill, which was inside the virtual reality created by the machines, and the red pill where the people and machines physically existed. The part that people generally can’t handle is the realization that you have spent your whole life thinking you were in one, when you were actually in the other. The Blue Pill: You are an independent, rational individual who wants to do things of your own free will, e.g., to do well at work, to have kids or not, to be a good person or not, etc. The Red Pill: Evolution created every desire you have as a human, and your entire life is simply carrying out those desires as expressed in your DNA, i.e., you only want what you want because evolution compels you to do so. What makes people want to have children? What makes you desire certain people? What makes you want to feel strong or attractive? What makes you want to improve yourself? And could you stop wanting those things? Could you simply wake up tomorrow and prefer to date a different gender, or a different kind of person within that gender? Nothing is more fundamental to a character than their desires, and the truth is that our desires are given to us, not chosen by us. The answer to all these things is, “No”. We don’t decide to have a good work ethic, or lots of self-discipline, or to be a good parent. We have those things in our DNA, and they are taught to us by people who had those same two things in them as well. 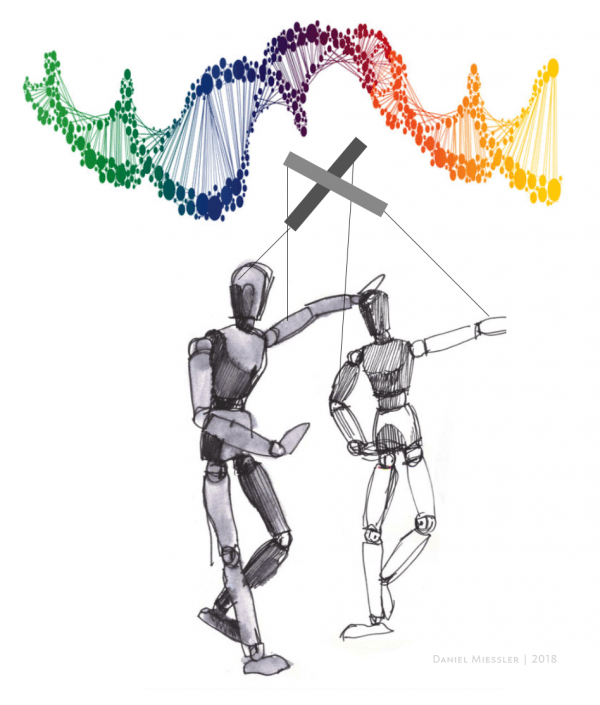 Humans are the hand puppets of Evolution. But that’s just the beginning of our story, not the end of it. It’s true that humans are stuck within an absurdist framework with regard to programming from evolution, DNA, and our environment, which ultimately results in a complete lack of free will. That’s ok, because we operate inside of that reality. And inside that reality we still have all the things that make life wonderful. We still experience choice, and freedom, and beauty, and all those other wonders of being alive. I just consider it fascinating that this base-level, fundamental truth about the reality of human life is not accepted—or even thought about—by most people. I think this will take another 100 years, and that’s assuming we don’t go backwards due to some sort of global catastrophe. I think it’s a good benchmark for ultimate human progress on a very long timescale. When this Evolutionary Hand Puppet (EHP) number for the planet hits something like 50% I think we’ll be in a lot better shape as a civilization. Right now I’m guessing it’s below 1% for the United States, less than 10% for Western Europe, and perhaps only significantly understood in China. How many people in your circle of friends accept the EHP hypothesis? I have pretty smart friends and loved ones, and I think only one or two of them are all the way there.